This is a MUST SEE! Come check out this beautiful, well-maintained, move-in ready home in the popular Apple Valley neighborhood. This home boasts gorgeous cabinetry throughout the home, granite countertops in the kitchen, a large living area with an inviting gas fireplace, a huge master bedroom with a great closet and master bathroom to accompany it. The curb appeal of this home is top notch! Come enjoy the large covered patio or spend some time in the neighborhood's park area that includes a pond and a splash pad and play area for the kids!In addition to this being an exceptional home, you can't beat the location! 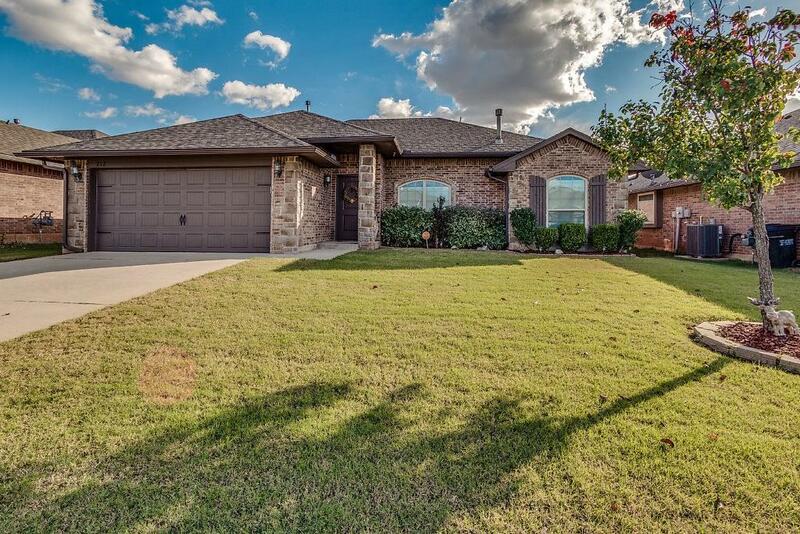 This neighborhood is minutes from Norman, Oklahoma City, Tinker Airforce Base, shopping, and minutes from countless restaurants and entertainment venues! This home will not last long- so come check it out before it's too late!